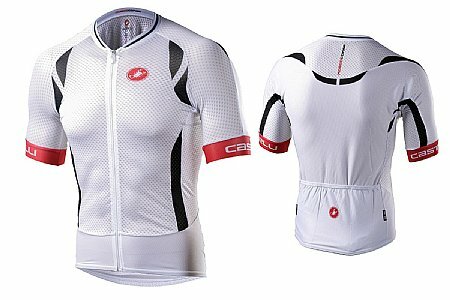 Pay no attention to Castelli's sizing chart. I have a 42 chest and a 34 waist. Height 6 ft, weight 185 and the 3xxxl is too short and too tight through the chest to the point that the upper chest area looks like an accordian because it is so tight. Also, if you have biceps like Chris Fromme you'll be OK with the arm tightness.